Lorna joined ORE Catapult in September 2016 as a Mechanical Engineer forming part of the core Engineering team. With a background in mechanical design and project management, Lorna is involved in both research and design projects. Please tell us a bit about yourself. What is your diversity story? Tell us something about you which we cannot see from the outside? As a woman in engineering, I am in the minority as only an average of 12% of the engineering workforce in the UK are women. I first realised that maybe I was a little unusual when I was the only girl in my class for Advanced Higher maths and physics in my final year of high school. 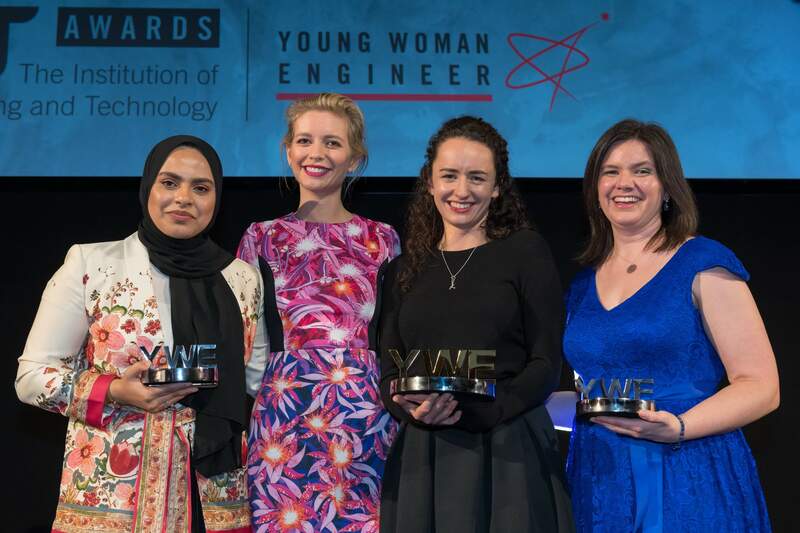 Despite recently taking the spotlight with receiving the Institution of Engineering and Technology (IET) Young Woman Engineer (YWE) of the Year Women’s Engineering Society (WES) Prize in December 2018 and stepping up as a role model for girls to consider a career in engineering, I hate being the centre of attention. I hate having my photo taken, hearing myself on video or radio and I have serious stage fright speaking in front of people, but I understand the importance of engaging children, parents and teachers in STEM activities to smash the stereotypes that engineering and science is just for boys. What qualification(s) and level have you got, where did you study, and how did they help you get to where you are at now? I graduated in 2011 with a BEng honours in Product Design Engineering from the University of Glasgow and Glasgow School of Art. I did not get the results I had been working so hard towards, so I was unable to join the PhD programme I was conditionally lined up for. This was a huge blow to my confidence and ambitions to gain a doctorate in renewable energy development, however I could not sit and feel sorry for myself for long. I picked myself up and got a job. 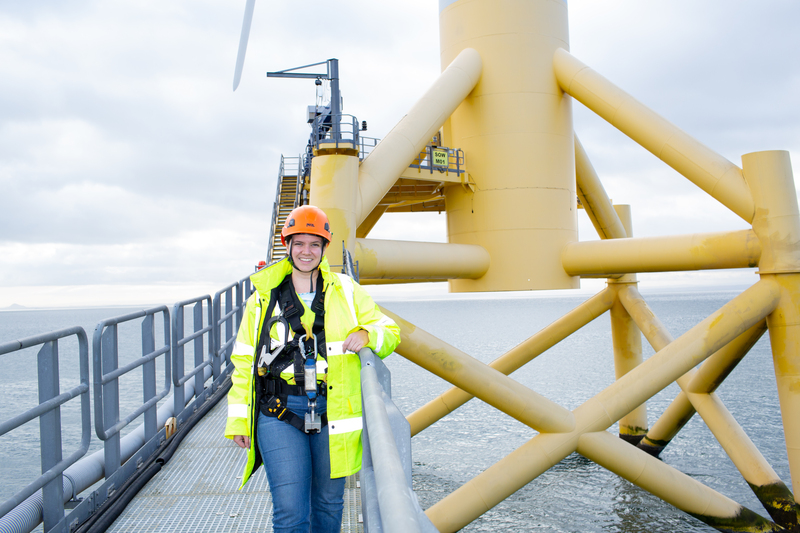 I gained valuable experience working as an engineer before I was headhunted by a recruiter who helped me enter the renewable energy industry as a Mechanical Engineer with Pelamis Wave Power. My new manager was keen to support me towards becoming Chartered, so after 8 months with Pelamis I chose to take on the additional challenge of a Master’s degree through a distance learning programme, MTEC. I was only required to complete 3 modules to complete the additional learning required to apply for Chartership, however I decided that if I had to return to further study at all, I might as well do it properly and gain an MSc. I am currently working towards my dissertation and going through the process of applying for Chartership both of which will be completed by the end of 2019. Positive mental health and wellbeing is key to pursuing a good work-life balance. How do you relax in your spare time? What do you do to switch off? A good work life balance is key to good mental health and wellbeing. Do not work late, banging your head against a problem. There is significant value in stepping back, letting your brain rest and starting fresh. I am a passionate STEM Ambassador and I volunteer my personal and professional time to inspire children through science and engineering. Working with schools is great as children have the most wonderful ideas and questions. To see the excitement and enthusiasm a simple engineering challenge creates, can reinvigorate and inspire even the most tired of minds. After a couple of hours of a STEM activity, I am usually tired, but optimistic and motivated. As we face a technical skills shortage, we need to encourage more people to study and work in science, engineering and mathematics. Therefore, promoting engineering to children and acting as a role model for girls, to show that engineering is not just for boys, is not just good fun but is also essential to the continued development of our nation’s industry. My volunteering as a STEM Ambassador lead to me receiving the Institution of Engineering and Technology (IET) Young Woman Engineer (YWE) of the Year Women’s Engineering Society (WES) Prize in December 2018. This is a significant honour as 2019 is a landmark year for WES as they celebrate their 100th anniversary. 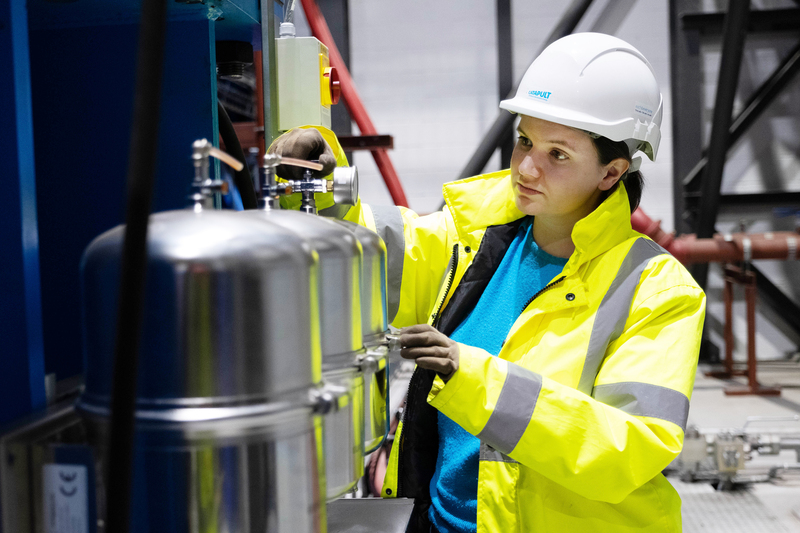 As women still only make up 12% of the engineering workforce, yet are over 50% of the population...after 100 years of women in engineering it is about time that we finally smash those stereotypes and encourage girls into engineering! I also enjoy reading, walking and swimming. Have you ever had to overcome any barriers or obstacles in your life? If so, what were they and what did you do? What advice you would give to people who might experience them? At the end of November 2014 the company I was working for went into liquidation and I was made redundant with 3 days warning. As this was 4 weeks before Christmas, it was a very difficult time and I had no hope of finding a new job before the New Year. I received incredible support from the Institution of Mechanical Engineers (IMechE): financially through the support network to ensure that I could pay my bills as we were not paid for the month of November by the Administrators; and professionally by means of interview training and a CV review service. The support network made a significant impact in not losing my mind with worry that I was potentially going to have my power cut off in the depths of winter or, worst case, lose my home! I updated my CV, made it known to my professional network that I was looking for work and the calls started to roll in from various recruiting agents. In the first week of January, I had 2 interviews and started a new job in February. It was not in an industry I wanted to be in, but I did not have the luxury to be picky and it helped me get back on track in the long run. Networking is not a bad word. It can be fun, interesting and it can help you when you are in need. Due to that redundancy surprise I have this advice: apply for the job centre straight away as there is a delay of 2 weeks before your first job seekers payment, and if you do not get a confirmation email of your first meeting within 24 hours, call and make sure that your application has not “gone missing”. The process is deliberately slow and painful, they do not want to pay job seekers to anyone. Income protection insurance has not covered redundancy since the financial crisis so make sure you know what you’re covered for. If you have a mortgage, you will not receive any state aid until you have been registered for job seekers for 13 weeks. If you are a member of an institution or union, speak to them as they can offer an excellent network, advice and potentially financial support. What top three tips would you give to people thinking about a career in engineering and technology? Do it! Engineering and technology are so diverse and creative, they can literally take you anywhere and you can achieve so much. Engineers have built the world we live in, everything we do depends on engineers, society would collapse without engineers. Every country in the world needs and wants engineers, find what interests you and you could live and work anywhere on the planet. You don’t have to be the best in the class or a human calculator. There are many routes into engineering such as: apprenticeships, college, university and industry experience. If you are not academically inclined but enjoy practical activities, engineering is still definitely an option for you. Volunteer as a STEM Ambassador. It is a great way to inspire young people and enthuse yourself too. It’s good fun, helps the next generation and is great for your own continued professional development (CPD). have been on to get to where they are. And any barriers they have had to overcome. Maybe others will experience these barriers too. Hearing your story might just make them avoid these pitfalls. To adopt better strategies for coping in times of need. If you have any questions about our #100Stories project, please get in touch via the contact form.